Very pleased with overall effect of product on my fine, thin hair, would recommend! 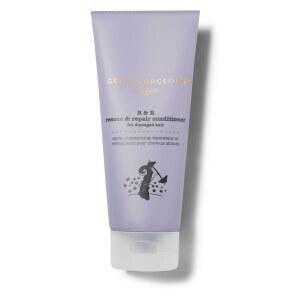 Also use hair masque in conjunction which really seems to help strengthen and give the appearance of fullness. R&R works a miracle. the shampoo and conditioner smells divine leaving my hair scented throughout the day. I have seen an improvement, as i used to have really really frizzy dull dry and flat no volume hair. Since i have been using this prodcuts R&R i have less frizziness, soft smooth and shiny hair. fingers crossed hope it really makes my hair grows long and strong. will still be using these products. Its a must for anyone wanting to see a change in there hair. I have very dry hair and struggle to find products which give a long-lasting effect. I have used this shampoo and conditioner for a month now and I can really tell the difference on my hair. The shampoo makes my hair feel fresh and clean without that dry feeling and the conditioner really helps my hair stay shiny, strong and healthy! Already ordered this bundle for my mum too!